A 95 is a painting by Chandrasekharan Chans which was uploaded on July 16th, 2010. 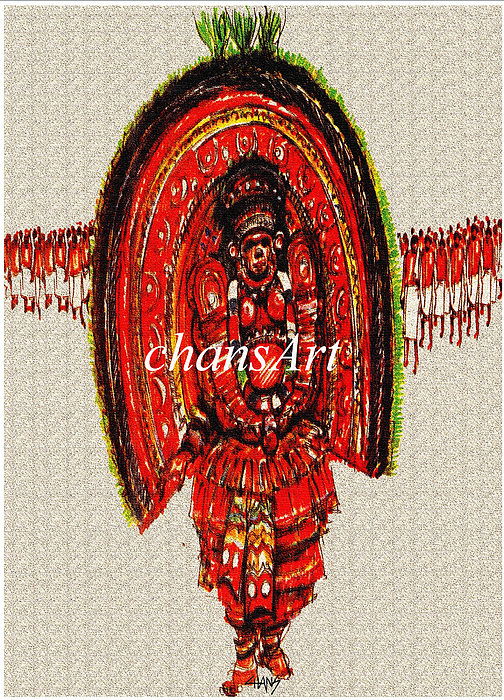 Usha It's not kathakali Thayam--a traditional --north kerala thank you for commenting on my paintings. I love this contemporary representation of our traditional dance. Kathakali - right? Traditional Art form well portrayed.